Richard Thaler raised some interesting points about The Power of Nudges, for Good and Bad in a NY Times opinion piece on 10/31. "Nudges, small design changes that can markedly affect individual behavior, have been catching on" he observes, and then explains his concern that "Many companies are nudging purely for their own profit and not in customers’ best interests." As customers, we can help one another by resisting these come-ons. The more we turn down questionable offers like trip insurance and scrutinize “one month” trials, the less incentive companies will have to use such schemes. Conversely, if customers reward firms that act in our best interests, more such outfits will survive and flourish, and the options available to us will improve. 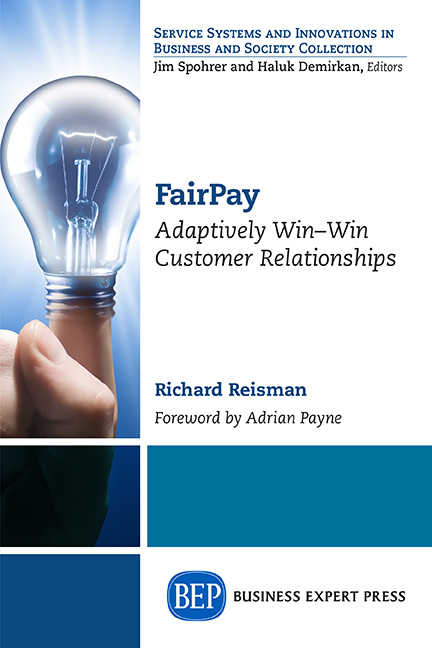 I take that as a nice statement of the power of FairPay, a new framework for choice architectures designed to use the power of nudges to adaptively seek win-win value propositions, and to directly reward firms that work with us to serve our joint best interests. 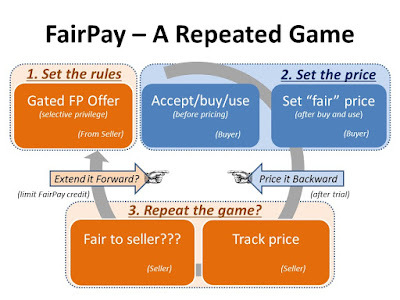 Using FairPay, firms and consumers can jointly create a virtuous cycle in which the consumer nudges the firm to understand what they value and are willing to pay for, and the firm rewards those consumers who work with them by delivering more of what those consumers show that they value. This builds customer journeys around cycles architected to build a mutually beneficial relationship of service, value, profit, and loyalty. It not only channels the nudges from the company to the consumer, but also creates a framework for nudges from the consumer to the company. Consumers who use FairPay fairly will get the most value, and companies who use FairPay effectively will attract and keep the most profitable and loyal customers. 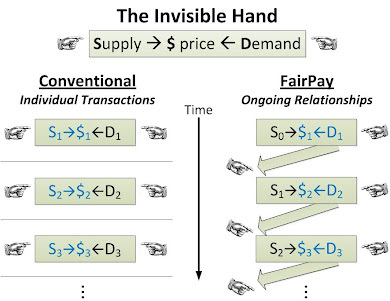 Thinking Fast and Slow about FairPay: A New Psychology for Commerce in a Networked Age.